Denim is a durable material that can be easily cleaned, perfect for many situation. 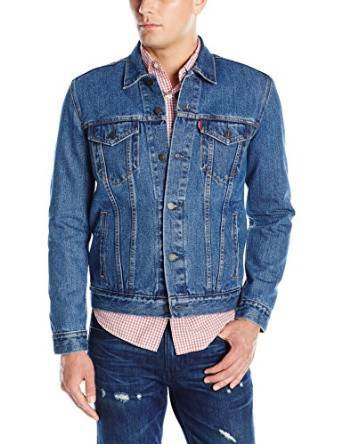 The history of modern jeans and jeans jackets is tied Levi (Loeb) Strauss, a Bavarian immigrant arrived in America in 1847 with his mother and two sisters. Arrived in New York, where his half brother was doing business with fabrics and clothes, Strauss engage in business for several years, and during the gold rush decide to go west, to San Francisco. American gold seekers needed durable clothes and Levi Strauss becomes, in 20 years, the most serious trader who supplies of good quality merchandise convenience stores in the West. 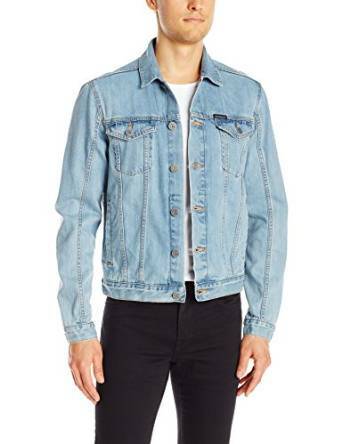 Jeans brand Levi Strauss becomes more known, and since 1920 jeans pants pockets are most commonly used in America and before long denim jacket gets a big trend. Gradually, other brands such as Lee Cooper occur and Wrangler, each with its peculiarities, all adopting both of jeans pants and jacket. 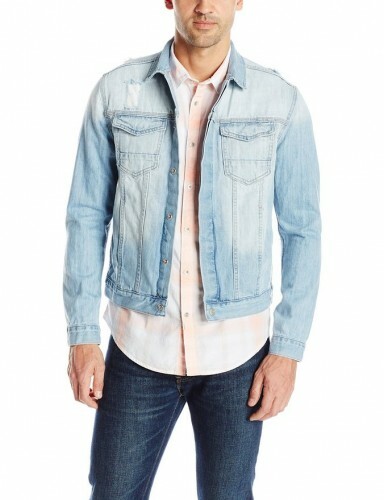 If everything comes to denim jackets, you can learn more about the shirts of this material. 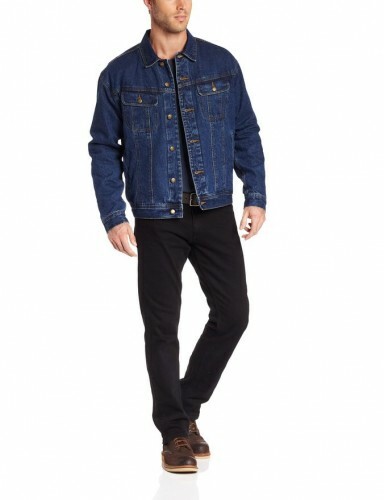 If you want to wear some pants to denim, they must be in contrast with the jacket. 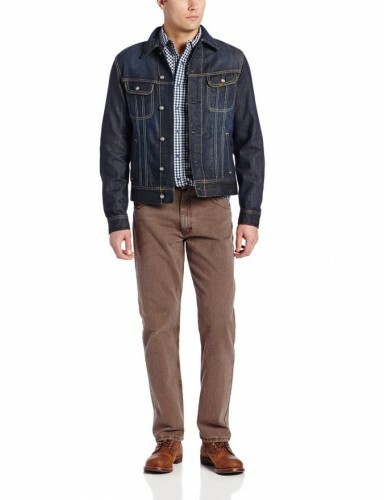 A denim jacket can be combined with khaki pants but avoid wearing wool pants. Under the jacket you can wear polo shirts, rugby shirt. They can be accessorized with a running scarves or ties and sleeves of the jacket to show off them. This jacket is so versatile that goes combined in many styles! There may not remember western movies with men dressed in retro style, all jeans with boots with pointed nose and big hat on his head. You can choose different shades, dark pants and jacket open, or vice versa. 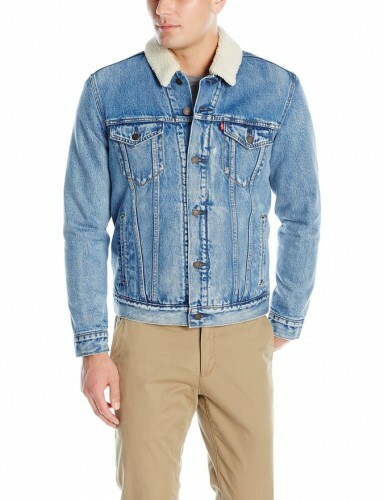 Jacket blue jeans revolutionized in recent years, now wearing jackets with short sleeve type vest jackets to jeans combination of textures such as wool + denim or leather + denim, dark colors such as indigo blue or gray, even the combination of multiple colors.